Have you ever wanted to visit the International Space Station? Without a whole lot of education, extreme determination, and a fair helping of luck, chances are you won’t be visiting it in-person anytime soon. But, that doesn’t mean you can’t take a virtual tour of humanity’s only off-planet home. With the multimedia below, get a feel for what life aboard the International Space Station is like. No spacesuit required. This 360° panorama allows you to explore the International Space Station’s third module, Zvezda. Launched on 12 July 2000, the Russian module supplies life support for the Station and crewquarters. All five of Europe’s Automated Transfer Vehicles docked with the module. The images to create this view were taken by ESA astronaut Samantha Cristoforetti during her Futura mission in 2015; the cosmonaut in the picture is Gennady Padalka. Two other views like this are also available on YouTube thanks to the ESA. Check out the Zarya and Unity modules as well. Next up, we have an interactive presentation that you’re going to have to go see for yourself. 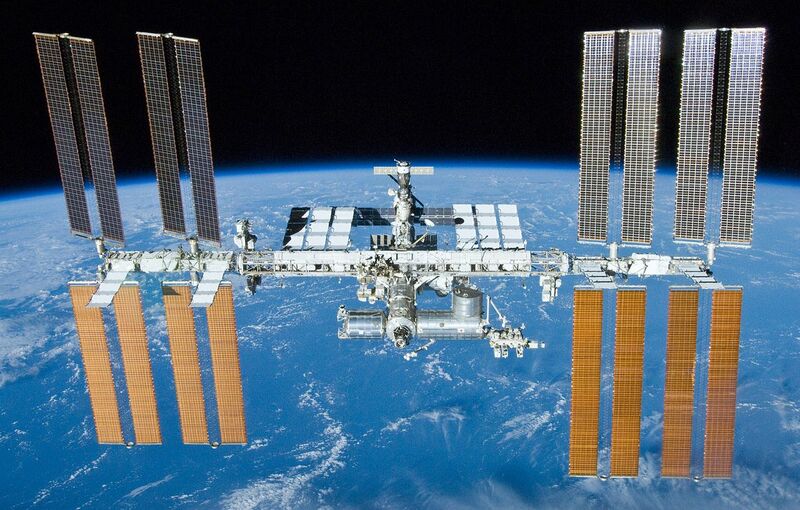 Check out this interactive tour of nearly the entire ISS. Turn on the map overlay and you can jump to individual sections of the station, or just tour it manually by clicking on the blue arrows. (I managed to get myself lost!) Video clips are interspersed throughout the tour for a more-detailed look. Just before ESA astronaut Samantha Cristoforetti left the International Space Station after 199 days, she took up to 15 pictures inside each module. Now, the images have been stitched together to create this interactive panorama. These panoramas offer a snapshot of the International Space Station as it was in June 2015, after moving the Leonardo storage module to a new location. One more for today. While not interactive like the other two, this video is one of my favorite tours of the ISS. In her final days as Commander of the International Space Station, Sunita Williams of NASA recorded an extensive tour of the orbital laboratory and downlinked the video on Nov. 18, just hours before she, cosmonaut Yuri Malenchenko and Flight Engineer Aki Hoshide of the Japan Aerospace Exploration Agency departed in their Soyuz TMA-25A spacecraft for a landing on the steppe of Kazakhstan. The tour includes scenes of each of the station’s modules and research facilities with a running narrative by Williams of the work that has taken place and which is ongoing aboard the orbital outpost. The 2012 video is somewhat long, 25 minutes, but by the end of it you find yourself wishing it would go on longer. Commander Sunita Williams takes us all throughout the space station while demonstrating various features and functions. I especially enjoyed her taking us inside the docked Soyuz capsule that she would be dropping back to Earth in, mere hours after creating this video. Tagged International Space Station, ISS, Sunita Williams, tour.